And just looking at it reminds us of Celicas, Exa’s, MR2’s and Rx7’s of the time with just enough room in the front, hardly any in the back, a spoiler to remind us of possible sporting prowess and pop up headlights which were novel when they worked and frustrating when the terminals got corroded. Good two door times really. Back in 1988 a guy by the name of Dave decided to take the base Fiero GT a little step further (okay who are we kidding, a whole footrace further) and in his workshop he battled countless nicks and itches of fiberglass to create the much cooler (and far rarer) Concept 2000 GT. Behold the smooth monster! 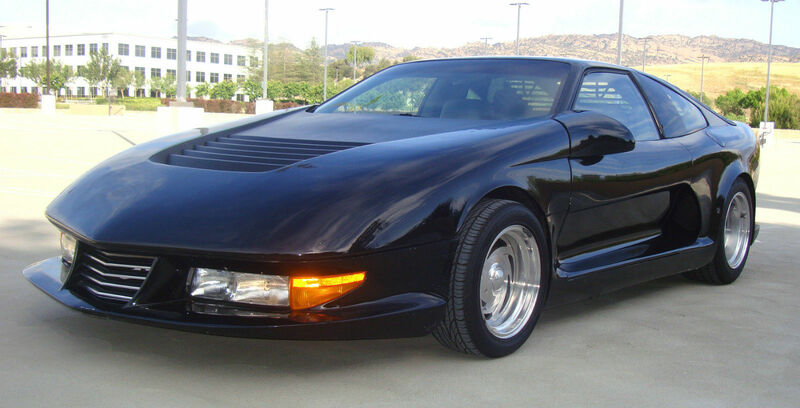 Instantly the bulging bonnet of the Austech Stelvio sprang to mind coupled with the time the Batmobile and KITT from night rider swapped DNA in the late 80’s and created something so unique, only 12 ever rolled out of the body shop. Those rims wouldn’t look out of place on a late 80’s Ferrari..
And if you’re in the market, you’re in luck as this black beauty has popped up on eBay! 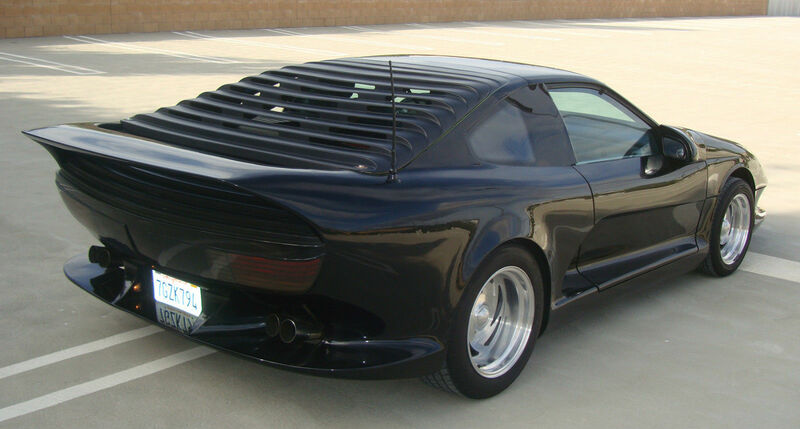 The Concept 2000 GT is a very limited production car based on a new 1987 Pontiac Fiero chassis. 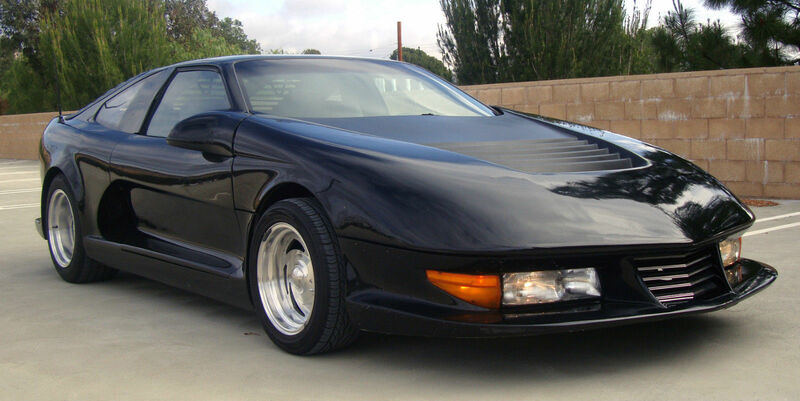 It was built in 1988 by David Tidwell of Country Auto Body in Largo, Florida with the intention of mass production, and was never sold as a kit. The original cost was almost $50,000. The hand-built body is constructed of very thick fiberglass. This is no flimsy kit car; it is very solid and well made. There are no stress cracks visible anywhere. The builders even added a steel subframe to accommodate the additional width and length of the new body. Only 12 cars were ever produced, and only 3 are left here in the United States. The remaining 9 have been shipped overseas. Of the 3 remaining in the US, one is white and one is red, and this is the only black one. Part fiberglass, part Fiero, part shark.. This unique and gorgeous supercar turns heads everywhere and gets attention like you wouldn’t believe! Be prepared for constant waves and thumbs-up everywhere you drive, and people coming up to you to take pictures and ask about it everywhere you park. Most people assume that it’s a Ferrari, Lamborghini or Lotus. Some have also guessed that it’s a Batmobile replica! This Concept 2000 GT is in excellent condition, with only 44,889 miles, verified by Carfax. With a 2.8L V6 fuel-injected engine and automatic transmission, it runs great and it’s ready to be driven anywhere. This car has always been garaged, driven gently and well-maintained. Everything works as it should. It’s equipped with air conditioning, remote door poppers, power windows, power mirrors, and a Kenwood KDC-3025 CD Receiver. The tires are new. It has staggered Billet wheels, 15” front and 16” rear. Tires are 205/50 R15 and 245/50 R16. It has a clean title, the registration is paid through November 2015, and it just passed smog. The body is very straight, with no dings or dents, and just a few minor scratches. The paint is original, and there is no peeling clearcoat. It looks great from 10 feet away, but when you look closely you can see a few oxidized areas. The interior is in superb, practically perfect condition. There are no stains, rips, or odors of any kind. 3 Comments on "Now that’s an interesting Concept!" For real I can get that on eBay? I’ll have a look! 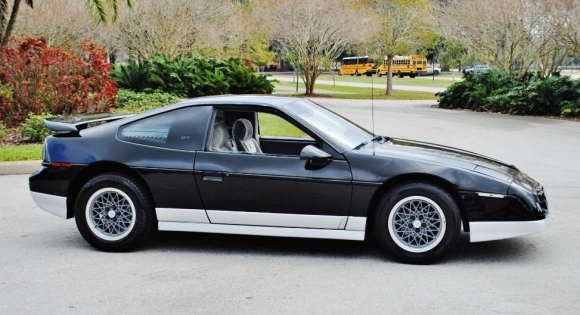 I don’ remember the 328, Testarossa, F40 or Mondial having slash-three spoke rims – maybe bt “Late 80s Ferrari” the author means “badly modified 1989 Chevrolet Beretta”. From the article : “Most people assume that it’s a Ferrari, Lamborghini or Lotus. Some have also guessed that it’s a Batmobile replica!” Who are these “most people?”. Should they be allowed out of the house unaccompanied if that’s what they think this is?